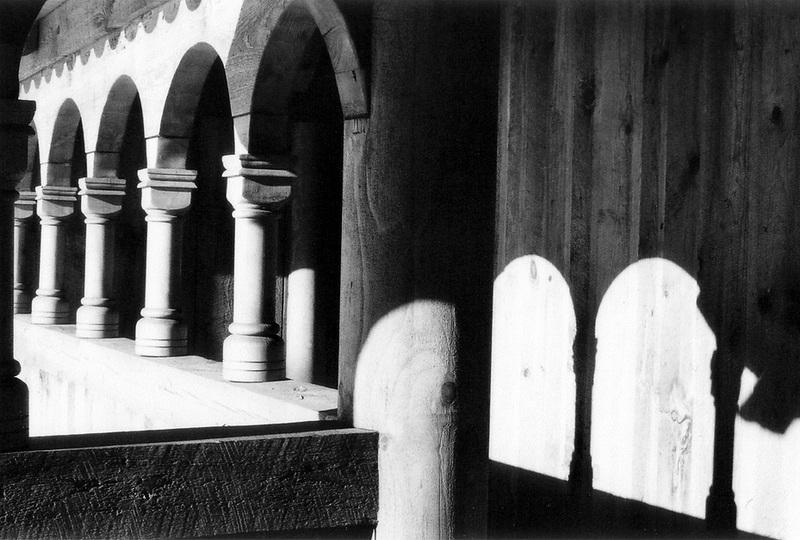 “Arches” is one of my earliest photographs taken shortly after relocating to North Dakota. This photo is of the Hopperstad Stave Church at the Hjemkost Center in Moorhead, Minnesota across the river from Fargo. It is a replica of the old church in Norway built shortly before 1200 A.D. The all wood church was beautifully hand carved by “Guy” Paulson. For some history on these style of old Norse churches, you can visit Wikipedia. You can also see some photos of the original church in Vik, Sogn og Fjordane, Norway, Hopperstad Stave Church.